In South Africa, the school year is coming to an end, and our summer holiday is upon us – it is time to take a break! While relaxing, there will be time for reflection: thinking about the past year, evaluating how things went and adjusting plans for next year. For others I understand that the winter holiday with its festive season is just a break halfway through the school year. But whether it’s summer or winter for you, best wishes on the coming new year of 2019! Every year me and my children enjoy this quarter in a special way, as book by book, subject by subject we finish things and there is a overall feeling of accomplishment. When one has worked hard throughout the year and done your bit, little by little, you should feel confident that you and your children have learnt a lot and have grown in character. It is a good idea to ‘get an overall feeling’ for what has been done by having some sort of display, review or even an exhibition (in our family we enjoy doing this at the end of each school year). It is also good to summarize achievements, goals accomplished or just what has been done in a ‘Report’ for each individual child (not a traditional ‘school report’ like those issued in schools, but a more comprehensive/personal one). Over the years that I have written such Reports, I have seen how my children always appreciate reading what we perceived to be their accomplishments! Some families have special prize giving ceremonies, some have just a handout session, some celebrate the end-of-school year in another way. 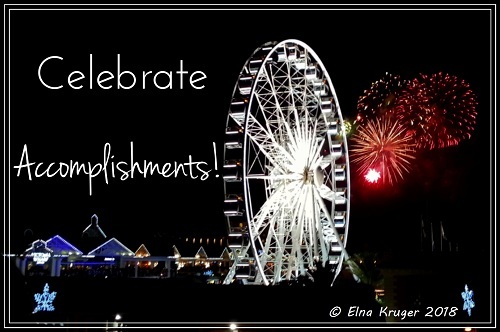 Whatever you do, it is good to celebrate, acknowledge and reward faithfulness in work done. If you are a new homeschooler, then Steps 1-4 will initally be your focus. If you have been homeschooling for a while already, then your focus will have become Steps 5-7. Although it takes practice to get into the habit of measuring and really evaluating things, it becomes easier if you do it regularly. So this last quarter is usually the time for an evaluation against your long-term vision you have defined in Step1. If things are not going as well as you would like it to go, then a review of approaches, even redefining your Course of Study may help in adjusting your curriculum and/or lifestyle to better move towards and not away from your defined vision. · Did you achieve what you wanted in homeschooling overall? · Are you satisfied with how things are going in your family, especially relationships with each other? · Have you grown nearer to achieving your vision? · Have you and your children grown in wisdom and character? · Did the curriculum you used support your vision? · Have your days been busy enough or too full and hectic ? · Did the activities you and your children were involved in encourage and support their talents, gifts and learning about themselves? · Have there been any major issues that was dealt with ? · What lessons have you learnt this year? · What are some things not achieved that should get attention in the future? Don’t be too hard on yourself, see the positive growth more than what has not happened. Listen to your spouse as he will probably see the ‘big picture’ better than you do. Listen to other people’s positive comments and observations of your family. Look out for those small things that show improvement of any kind. After reviewing your vision, define new goals for the new year, again involve and value your spouse’s input. Write these down somewhere (I do it in a specific notebook every year) and keep as reference for the next year.